Down one of the more atmospheric arteries in London's Chinatown, packed tight with dinky Chinese cafés and shops, the Light Lounge is a hidden away spot in a faintly unexpected location but it's well worth seeking out. Down one of the more atmospheric arteries in London’s Chinatown, packed tight with dinky Chinese cafés and shops, the Light Lounge is a hidden away spot in a faintly unexpected location but it’s well worth seeking out. 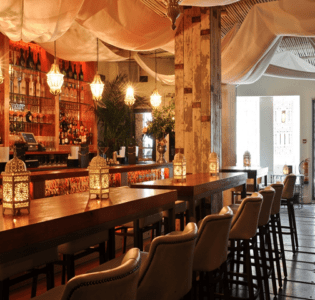 This first floor boutique cocktail bar is a properly stylish affair, even a little glitzy in places with its chandeliers and slinky hostesses, and it serves seriously creative drinks. It’s no surprise to find out one of the guys from the Cocktail Trading Company is involved with the project. 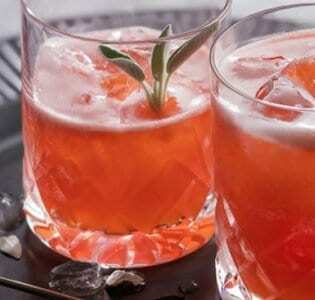 A Plum Fizz, a glorious mix of gin, plum brandy and tamarind, hit all the right spots and they make a great range of classic drinks with impeccable skill. There’s also a decent list of beers and wines to choose from and a cool semi-disco vibe. It can be difficult to grab a table at busier times but if you do get the opportunity then you should definitely try and snag one of of the comfortable window seats looking out on the street below.